Florida is currently the only state in the country where residents are required to pay sales tax when renting a commercial property. However, a recently enacted amendment will reduce the required amount of sales tax on these properties starting in January 2018. Although it is hoped that the reduction will attract new businesses to the state, critics argue that the decrease is not substantial enough to make a significant difference to the taxpayer. To learn more about how the new law could affect you or your business, please contact an experienced tax attorney who is well-versed in Florida law and can explain your tax-related rights and responsibilities. All charges included in the total rent or license fee will be subject to the state’s sales tax regardless of whether those charges can be attributed to the property’s ability to attract customers. However, payments for intrinsically valuable personal property, such as trademarks, logos, patents, or franchises are exempt from sales tax in Florida. 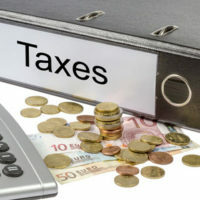 Furthermore, even when rent is paid by way of property, goods, merchandise, services, or another item of value, the tax will still be charged at the rate of six percent, although it will be assessed to the value of the property in question. Although Governor Scott has stated that his long-term goal is to eliminate Florida’s sales tax on commercial property in its entirety, the new law only reduces the amount that taxpayers are required to pay from six percent to 5.8 percent. Furthermore, the law clarifies that the tax rate that will be applied to a rent payment is based on the date that the property was occupied, used, or is entitled to be occupied, and not when the rent payment was actually due. The law also specifically states that taxpayers cannot avoid paying the higher six percent rate by delaying or accelerating rent payments. As a result of the change, landlords and commercial property owners in Florida will need to amend their leases to reflect the lower tax rate for occupancy beginning after January 1, 2018. The new sales tax reduction could result in significant savings for commercial tenants. It also means that landlords and property owners will need to reevaluate their leases and rent payments, so if you are currently renting a commercial property and want to consult with a tax attorney who can explain the repercussions of the new law, please contact Ronald Cutler, P.A. in Orlando at 386-490-9949. A member of our dedicated legal team is standing by and eager to help you schedule a one-on-one consultation with an experienced tax attorney.